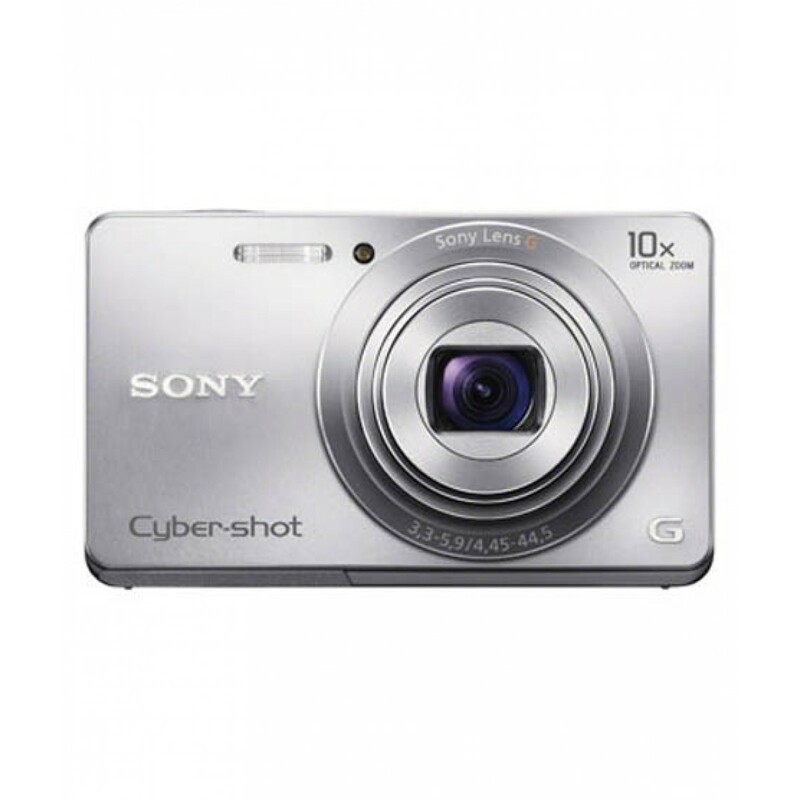 iShopping.pk brings you the best price for Sony DSC-W690 Cybershot Camera Silver with 1 year iShopping.pk warranty and free shipping all over Pakistan. 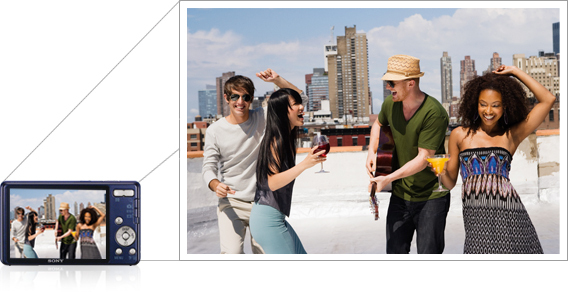 At only 21.7mm, Cyber-shot W690 is one stylish camera you'll love to bring along with you wherever you go. 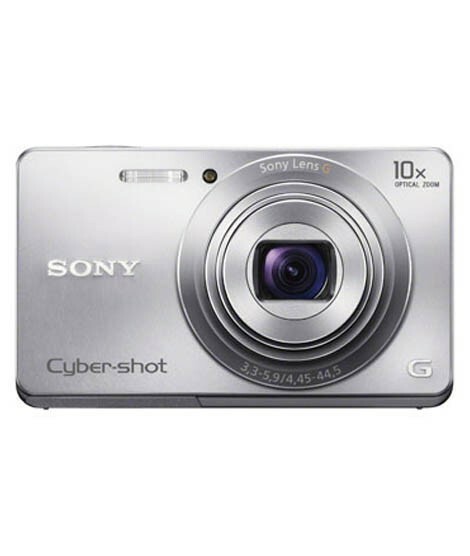 Enjoy exceptional shooting freedom with this new Cyber-shot. Superb 10x optical zoom and a slim body assure you of ultra-sharp photos and movies in nearly any situation from a camera that fits easily in pocket or purse. The 25 - 250 mm focal length1 lets you shoot in tight interiors, photographic majestic landscapes or zoom up close to distant subjects. A great way to capture the moment wherever it occurs. 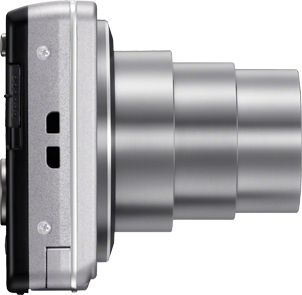 Sony's superior optical technologies make possible an extremely small lens unit to fit the camera's compact dimensions. Featuring a new Advanced Aspherical (AA) lens element only 0.3 mm thin at its centre (a truly remarkable engineering feat), the lens unit delivers high performance over the entire 10x zoom range. Whether shooting photos or movies, images will have a rich vibrancy you can almost feel. Express your imagination freely and turn everyday scenes into dramatic images. With our 4 Picture Effects modes - Toy Camera, Pop Colour, Partial Colour and Soft High-key - you can expand your creative horizons by transforming ordinary photos into magnificent works of art. To capture breathtaking 360' panoramic shots of your environment, simply sweep your camera horizontally in a circular motion. The photos will be seamlessly stitched together to create one spectacular 360' panoramic image. BIONZ Image Processing Engine drastically reduces the picture noise level and achieves high accuracy in auto-focusing, exposure auto-correction and auto white balancing; creating more natural and vibrant images in different shooting environments. When you don't know which mode will give you the best shooting results, or when you don't have the time to choose the ideal setting, intelligent scene recognition comes to your rescue. It is simultaneously activated to optimise the settings and give you stunning photos every time. Compose and show off your images on the Clear Photo LCD monitor, which features a special anti-reflective coating for sharp visibility, even in bright sunlight.